Before I write anything else, I’d like to say: Happy Birthday Juliet! Juliet’s birthday is one of the few exact birth dates Shakespeare gave us in the text of his works. According to his play Romeo & Juliet, she was born on “Lammas Eve at night” (August 1), so her birthday in Shakespeare’s play is July 31st … which is today! 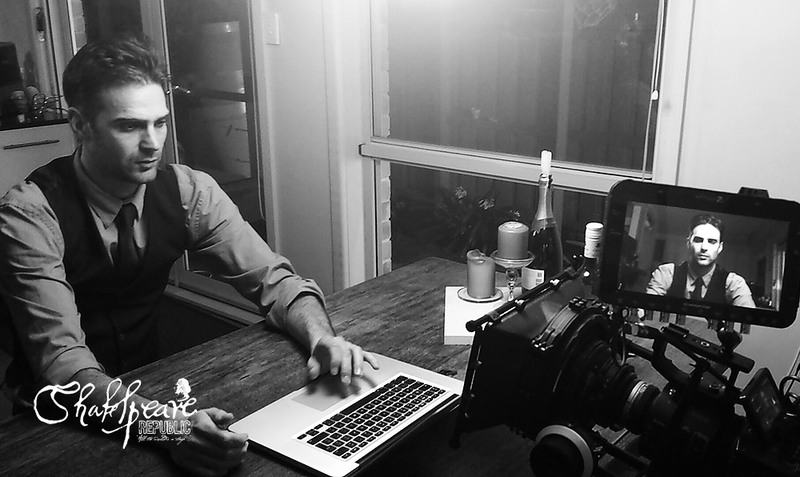 Day four of filming was actually our first night shoot of the season, filming the wonderful Ben Steel as he wrangled a laptop and webcam for his episode of Shakespeare Republic. Of course, I had the bright idea of trying to catch the dying light through the windows in the opening moments of the piece, which meant some fast movement on the part of cast and crew alike! We got there in the end, and I’m so looking forward to sharing the results when the episode goes live! 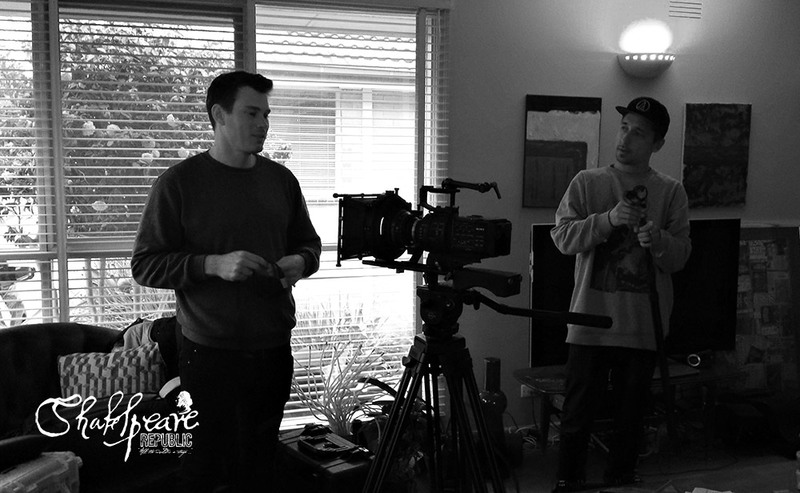 Joining us for the first time on the Shakespeare Republic set was Director of Photography, Shaun Herbertson, who produced some amazing camera work, as always, and, along with our fabulous Sound Recordist, Tim McCormick, made the whole shoot an absolute joy to film. It did feel a little like getting the band back together, as Shaun and Tim are part of Ben and my other screen project, the feature documentary A Life Unexpected: The Man Behind The Miracle Mile and we had just come off a shoot for that project the week before. But, this time it was Ben’s turn to be in front of the camera (instead of behind it as Producer) and despite it being his first time tackling Shakespeare, he gave a fantastic interpretation of the text. You always know that an idea has worked when you feel the crew take an inaudible gasp during a moment of the shoot. We had a couple of those during filming, as well as a lot of laughs. I do love working with all these guys and it was great fun to have all of them on set together working on a drama where we could be truly creative. A huge thank you to Ben, Shaun and Tim for making Wednesday’s shoot so much fun and for working fully with me when I had one of my random brainwaves. We also managed to finish an hour earlier than scheduled, which is rare! (Thanks also to Ben for the rather lovely vegetable soup for dinner!). And so, we are in prep for Michala’s shoot next week and finally mine not long after. It’s been a long road, but we’re now over halfway through and it’s been a blast so far! I’d like to take a moment to thank all the cast and crew for their hard work, creativity and willingness to play. Massive thanks also to my Co-Producers Perri Cummings and Billy Smedley. This series would not exist without all of you and I couldn’t ask for a better group of collaborators! Posted On 31/07/2015 in Behind The Scenes, Project Updates with 0 Comments.Tagged: ben steel, cast, filming, news, web series. ← VIDEO: Behind The Scenes: How To Clear A Set In 15 Mins, or That’s A Wrap For Ep 3!